White trug basket arrangement designed using yellow roses, white lisianthus, white chrysanth and gypsophila. Colours may be changed to suit your requirements, please notify us of any changes when ordering. 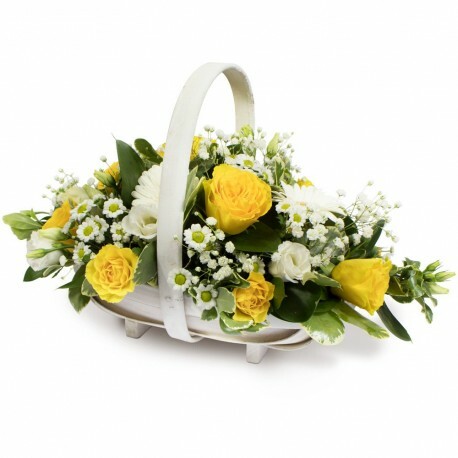 Flowerscene deliver flowers to Aberdeen and surrounging areas. If preferred this basket is also available for collection from our shop.